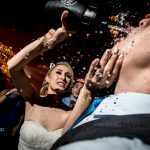 Weddings on the beach are very challenging; we can work with amazing sunsets or fighting to survive the sand and the sweating moments without corrupting our cameras. Usually people getting married on the beach are very open mind people. We love barefoot braids and simple and fresh decorations. We also enjoy very much the fact that we have to travel to reach beautiful beaches and have the chance to enjoy couple of days of relax too! 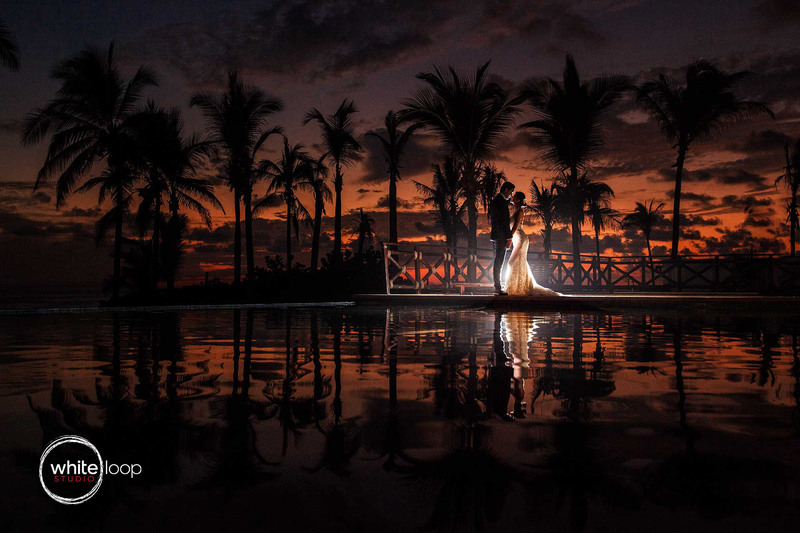 The groom and the bride in formal dress are posing for a sunset shot on the border of a pool where the palms are reflected. The formal shooting was taken in Naui, Riviera Nayarit, Mexico. 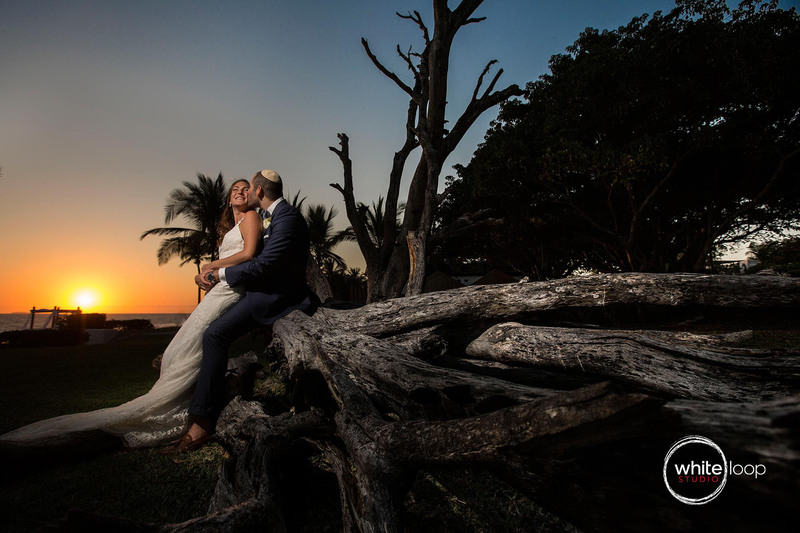 Bride and groom sitting on a big old trunk left on the beach, sunset behind. 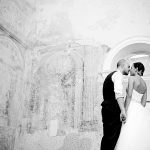 Their first was dance under the stars of Naui, Riviera Nayarit, Mexico; the lighting was looking like a sky of stars. The formal shooting was in Puerto Vallarta, Jalisco. 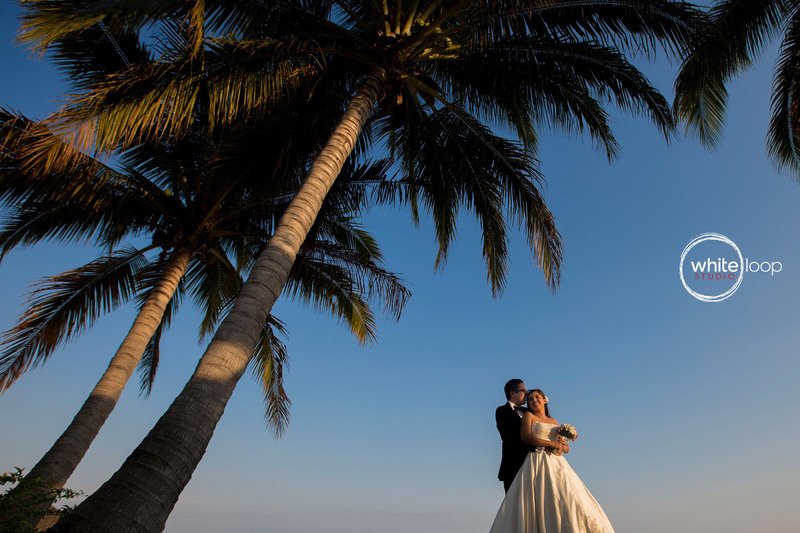 Bride and groom are standing under a big palm facing the sunset. 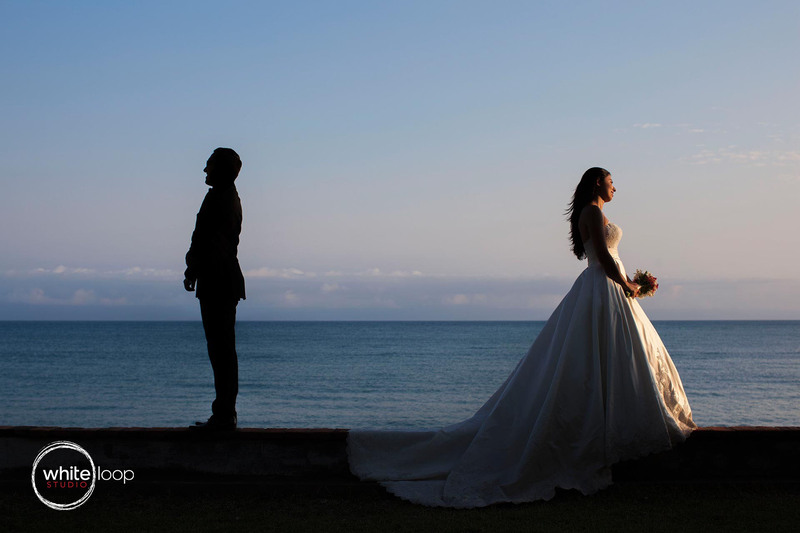 The bride facing the sunset and the groom in the shadow are representing the opposites. Bride and groom standing on a wooden bridge suspended on the see, facing the sunset. 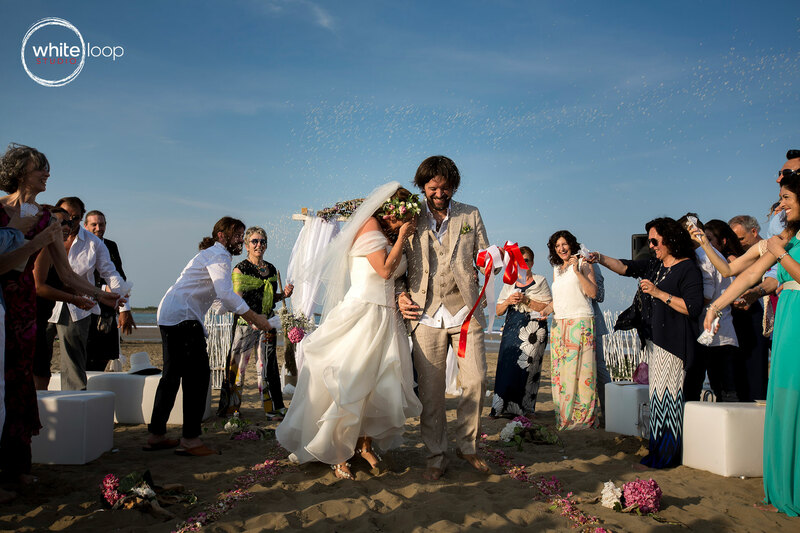 At the end of the ceremony, Gloria and Davide walk through the guests and the rice they are throwing. 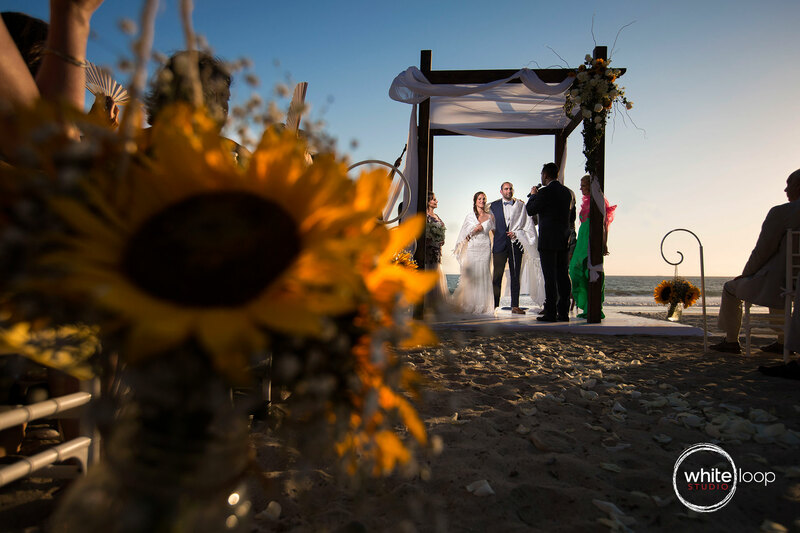 Did you like our weddings on the beach? Are your planning one? We can help!